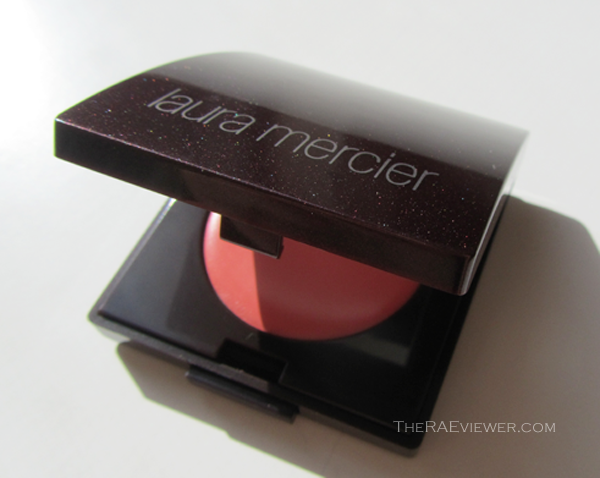 Laura Mercier has always been one of my go-to brands for beautiful neturals. 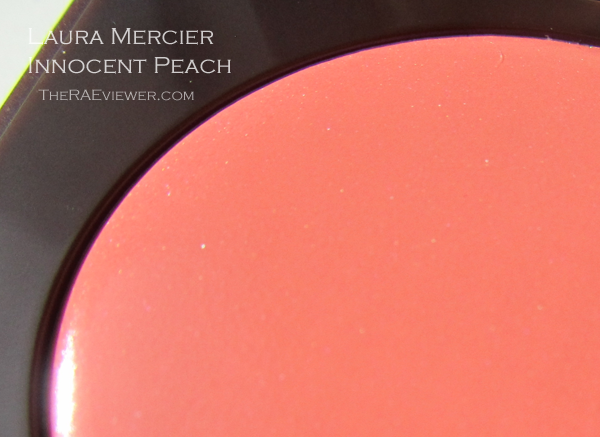 Her products are easy to wear and even easier to use and her limited blush for spring, Innocent Peach, is a winner. If only it weren't limited edition. Innocent Peach, $22, is my favorite piece from her Lingerie collection, a delectable medley of warm pinks and tangerines suitable for all skin tones. 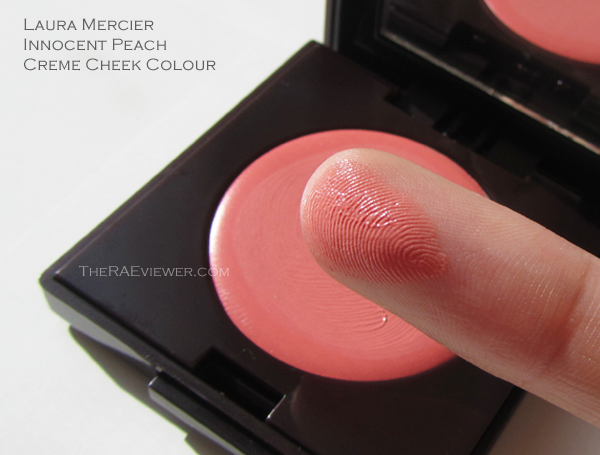 I love how smooth the texture of this cream blush is. It can be used with the fingertips or with a brush but I actually find that this formula glides on so easily that using the fingers is actually much faster and more efficient than using a brush. It has a creme texture when solid in the pan but it transforms into a gel with heat. The warmth from the fingers makes the product more malleable, allowing the heat to adhere the creme to the skin better. I was most amazed, however, to see that Innocent Peach did not enhance my pores at all! 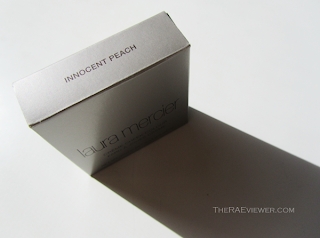 And although the name of this product is Innocent Peach, it actually does not read true peach on my face. It is rather a salmon, with a neutralizing touch of pink. I love how natural it looks! Those intimidated by apricots and peaches will be relieved that this product won't leave them with hideous orange streaks across the cheekbones. It looks shimmery in the pan when it is directly facing the sun but on the face, those particles meld in and impart a beautiful fresh glow. 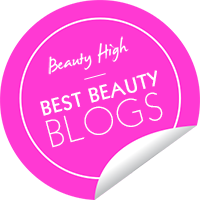 It is not so dewy that it makes my skin look greasy, but it still may not be the best choice for very oily skins because it doesn't last all day. No, it does not slip or slide but the color does fade gradually after 4 hours of wear. Bottom Line: If you've been previously scared of cream blushes because they are not as user-friendly as powder blushes, try this low-maintenance Innocent Peach Creme Cheek Colour! 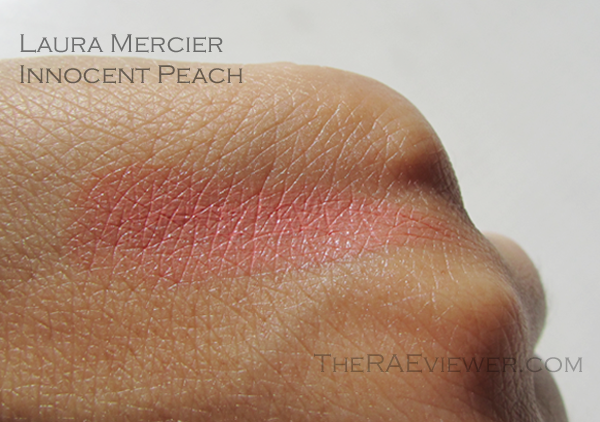 I'm surprised at how affordable this Blush is compared to other LM products. I would love to get this but I want a cream blush that lasts at least six hours. I'm a sucker for long wearing makeup. Cendana - You are absolutely right! 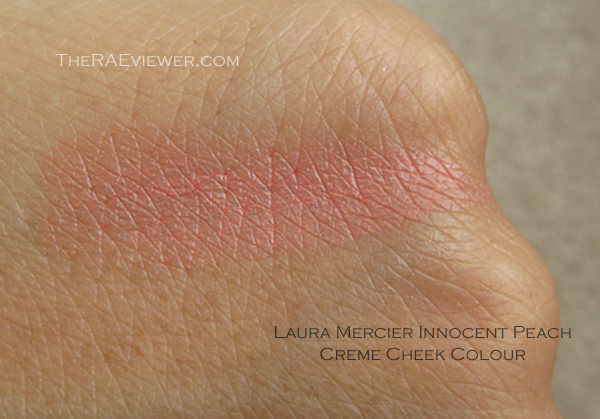 Hi Rae, how would you compare this to the YSL creme d blush? 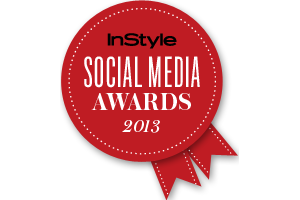 I have it in the coral colour as well! 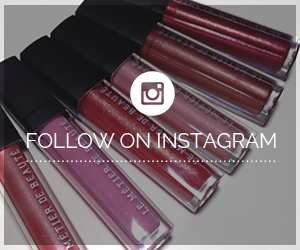 And was wondering if it's worth buying the Laura Mercier one? Anon - LM's is more like a gel blush, rather than a true cream. YSL's is a touch longer lasting and more opaque in pigmentation but the LM color provides a more natural blush effect. They definitely are both worth having since they are completely different products! We def need to go shopping together, we get the same makeup!! LOL I really like this blush,it is very light on me but it looks very pretty and I got kissable lips and coral temptation lip pot too ( I think that's what it is called). Cream blushes are my favourite! I wish this was a part of the permanent line.